IN THE HINTERLAND OF QUEENSLAND'S BEAUTIFUL SUNSHINE COAST - only a short drive to the Pacific Ocean. Set amongst avocado trees, our home is a 15 year old modern colonial house on nearly 2 acres. We have wide verandahs, polished timber floors and open plan air-conditioned living areas with high ceilings. 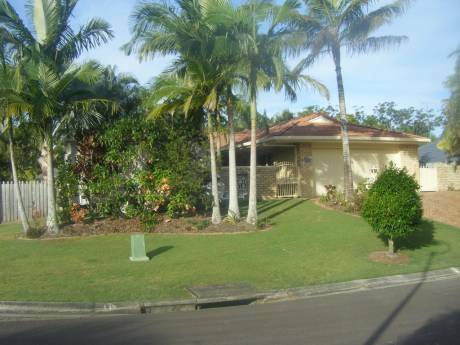 We are located in a rural area only 2 kms from the small Sunshine Coast hinterland town of Woombye. Woombye, although only small, offers all amenities including a large supermarket, historic hotel, bank, bakery, medical facilities, cafes and more. Woombye also has a fast rail service to our state capital, Brisbane. We are also only a short 15 minute drive from the Pacific Ocean and the attractions of the Sunshine Coast at Noosa Heads, Mooloolaba and Maroochydore. 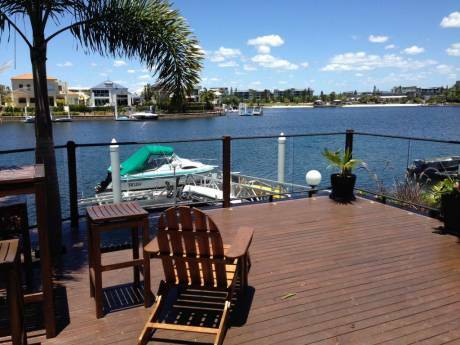 We are also within easy reach of Maroochydore airport and only one hour from the international airport in Brisbane. We also have a beach side holiday unit which is available at any time during the year. It is located between Brisbane and Sydney near Coffs Harbour. A few photos are also shown. David is a retired local real estate agent and Cathie is a recently retired primary school teacher/librarian. We are of the 'baby boomer generation'and are very experienced travelers. As David is an international official in his chosen sport, we have travelled extensively over many years. We enjoy fine dining, good wine, rugby union, clay target sports, outdoor activities and exploring the local area where ever we go. We are more than willing to consider any offers of an exchange from anywhere in the world. We are adventurous travelers and have 'done our own thing' in many countries. We are very interested in exchange opportunities in all areas of USA or Canada any time from October 2019 on wards. We would like to arrange a simultaneous exchange anywhere in the south of U.S. or in Canada between 20th February 2019 and the 24th March. We can organize travel at short notice! As we have 3 cars (a new Volvo XC60 SUV, a Volvo S40R sedan and our sporty little red Peugeot convertible)we may certainly be able to offer the use of one of our cars during an exchange. David is a retired local real estate agent who enjoys clay target shooting sports, rugby union football, fine wine, dinning and travelling. Cathie is a recently retired primary school teacher/librarian. Her enjoyments include many varieties of needlework, patchwork and quilting, fine wine and dinning and of course, travelling. Our neighbourhood is very rural. We are surrounded by avocado trees and we adjoin a small avocado farm. Our climate is very sub-tropical and would ideally suit anyone looking to escape the harsh northern hemisphere winter. We have typical sub-tropical summers and enjoy beautiful winter, spring and autumn weather. It is normal for our winter days to be 20 to 23 degrees celcius.